Our director at SGA, Allan Vincent, shared with me an illustration regarding the state of the church today. A farmer in St. Jacobs, ON once told him that not all potatoes labeled Yukon Gold are actually Yukon Gold. You see, with all the genetic changes being made to food, there are a number of things that are labeled one thing, but in reality are something different. A bag of Yukon Gold potatoes that you pick up at the grocery store may in fact not be Yukon Gold! Scary stuff indeed. Now what does this have to do with the church? In reality, much of what is called “church” nowadays is really in fact not church. What we see today with our consumer, marketing, program driven approach to church is really, a genetically altered form of the church. It was designed to “sell” the church even though it was no longer the church. We see a watered down form of the church. Most believers today are really looking at churches with a consumeristic attitude (does this church meet my needs, does it have what my kids need, will I get what I want out of it). The attitude of “you get what you put in” is foreign to most church goers today. And the churches have changed their genetic make-up in order to appeal to these church goers today. There are some very key points here which can show what the focus of the church was. Essentially, the focus of the church was 1) preaching and teaching the Word, 2) prayer, 3) fellowship of the saints, and 4) partaking in ordinances of the church. Clearly, one important aspect of their time was devoted to the Apostle’s teachings. They yearned to hear the Word of God preached and taught and applied to their lives. They knew that a Word saturated ministry is a life changing ministry. Only through the power of the Word which revealed the Word, that is Christ, could they hope to attain the promise of life eternal. The Word changed hearts and brought people to Christ, and it changed lives as people were becoming more like Christ. The second item was prayer. They devoted themselves to prayer. Prayer is that divine work where we communicate with the Sovereign God of the universe. We have the privilege of being agents of His divine will through prayer. God accomplishes His will through our prayers. We are the ordained means to the end. Plus, we grow in our relationship and fellowship with the Triune God through prayer. It is our lifeline to our life giver! Without prayer, we will wither and die! A third thing the church was committed to was fellowship. While we might not embrace the communal living they did, we can appreciate the close relationships these beleivers had with each other. We live in a segregated world where we know of nor care about our neighbours let alone our church family. These people though faithfully met together and cared and loved for each other in such a way that they met each other’s needs. Imagine what churches would look like today with this kind of level of fellowship! Finally, they devoted themselves to the ordinances of the Lord. There is debate here, but I believe at least a part of what is being referred to here is the Lord’s Supper. The church regularly “broke bread” together as they celebrated the finished work of Christ that united them together and looked forward to the glorious return of Christ when they would celebrate the meal with Him! They also of course took part in the other ordinace of baptism which served as the initiatory placement of the person into the community of faith. Therefore, when the church came together, they added those to their number through baptism, and they fellowshipped around the Lord’s Table. 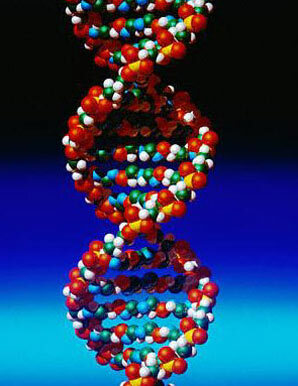 This is the DNA of a New Testament Church. This is how the churched looked then, this is how it should look now. How far have we gotten off the beaten path through our programs and our marketing and everything else. The church was simple. United around the preaching and teaching of the Word, prayer, fellowship, and the ordinances. If more of our churches today focused on these aspects and less on “meeting needs” we would live in a world of greater conformity to Christ in our churches. We would be a close knit family united around Christ. What a privilege it is to be a part of the body of Christ. May we pray for our churches to better reflect the New Testament picture of the church. Let’s remove the genetic engineering that has happened to the church and get back to the simplicity of it all! This entry was posted on Tuesday, July 8th, 2008 at 1:54 pm and is filed under Local Church. You can follow any responses to this entry through the RSS 2.0 feed. You can leave a response, or trackback from your own site.